At Griffith University we believe in, strive for and celebrate the remarkable. We are known for our high impact research, outstanding student experience, our commitment to social justice and our welcoming environment. We’re proud of our remarkable achievements, of our people and their passion for making a positive difference. Together we contribute to the development of knowledge and learning in an attractive environment which values excellence, equity, diversity, and innovation. The Griffith Climate Change Response Program and Griffith Centre for Coastal Management team bring this to life by developing services that differentiate, innovate and make a difference in the fields of climate and coastal research. We are currently looking for an Ecosystem Modeller to be responsible for the development a of movement and migration model for marine mammals. The primary focus of this role is to develop, implement and verify an ecosystem model. Success in this role requires working closely with the research team of a marine biologist and oceanographer, and external collaborators. This position involves designing and implementing models to investigate the potential impact of climate change on whales in the Southern Hemisphere. Working with an international project team which includes marine mammal experts tasked with describing marine mammal behaviour in response to ocean conditions (physical, chemical, biological) and physical oceanographers tasked with modelling future physical ocean conditions, your research will assist in bridging gaps between physical, chemical and biological parameters and ecosystem responses of marine mammals. This is a fixed-term (two year), full-time position based at the Gold Coast campus, Queensland, Australia. The position may be extended a further 12 months subject to the candidate meeting project milestones. The successful candidate will be highly numerate with experience setting up and running marine ecosystem and/or biogeochemical models or models in related fields. Experience working with end-to-end marine ecosystem models such as OSMOSE, Ecospace/Ecosim, ATLANTIS, SEAPODYM, INVITRO or similar is highly valued. Experience with parallel computing is also beneficial. The candidate should be comfortable working with biogeochemical model outputs (e.g. MERRA-NOBM) and the various ocean observation datasets (e.g. SeaWIFS). Research Fellow Grade 1: $72,344 – $84,882 per annum. Salary package including 17% employer superannuation contribution: $84,643 – $99,312 per annum. Research Fellow Grade 2: $92,511 – $109,860 per annum. Salary package including 17% employer superannuation contribution: $108,238 -$128,536 per annum. Level of appointment offered will be dependant on qualifications and experience. Research grants awarded and any other relevant information, such as offices held in professional bodies, community services, etc. Note: Application attachments should be saved as .doc, .docx or .pdf only. File names should be no more than 25 characters long and should include letters and numbers only. Working for one of the most influential universities in Australia and the Asia-Pacific region, you will join a University that ranks among the top 3% worldwide and spans across five campuses in South East Queensland. At Griffith University, we’ve worked hard to create a culture that will challenge you to be curious, creative and courageous. We also support the professional and personal development of all our employees and invest in the skills of our people. Griffith University values diversity, inclusion and flexibility and we encourage Aboriginal and Torres Strait Islander, and people of all backgrounds to apply. Griffith’s strategic goals are to also increase the proportion of women in senior academic and administrative roles and in Science, Technology, Engineering, Mathematics and Medicine (STEMM). For further information about this role, please contact Dr Olaf Meynecke, Research Fellow on +61 (0) 7 5552 7822. For application queries, please contact Ms Kaitlin Reents, HR Officer on +61 (0) 7 3735 6614. Closing date: Friday 15 February 2019 at 5 pm AEST. All applications must be submitted online. As the team experience high volumes of applications, we appreciate your patience to allow for a timely and fair process for all. Please note: We do not accept unsolicited CV’s from Recruitment agencies / third parties and we will not be liable or responsible for any fees or costs associated with unsolicited CV’s sent directly to Line Managers. Copyright © 2018 Queensland Water Modelling Network. All rights reserved. The Queensland Government has funded the Queensland Water Modelling Network (QWMN) to develop a broad network and build the capacity of the modelling of surface water and groundwater resources in the state. Through the QWMN Innovation Program, the QWMN will support innovation in the sector and enhance modelling capacity by placing a cohort of PhD students with host universities and key industry partners to carry out applied research in water modelling, for natural resources management and environmental outcomes. As a PhD student (Innovation Associate), you will receive a stipend and generous top up, industry-relevant water modelling experience, and mentoring and personal development carried out through the university, industry partner and the QWMN. As an Innovation Associate you will be expected to become an industry leader in innovation and technology in the water modelling sector. There are two steps to applying for a PhD scholarship under the QWMN Innovation Associates program. You must complete both steps in order to be considered for one of the four PhD scholarships. Once you have selected the project you are interested in, you must complete and submit an application to the relevant host university for that PhD project. You will also need to submit an application for the top-up scholarship to the QWMN. The application to the QWMN must include: confirmation of receipt of the PhD application (Step 1) to the host university, a targeted CV, and a 2-page cover letter. The successful applicant will play a role in the development of a strong program of research within a multi-disciplinary group to support the sustainable use of Australia’s marine resources. You will help execute a research portfolio in the area of risk assessment and ecosystem modelling, working with a group conducting research into ecosystem-based management of the coastal and offshore waters of Australia in relation to activities such as fishing, energy, mining, tourism, environmental conservation, and rural and urban development. The research approach is based on a scientific understanding of the functioning and dynamics of socioecological systems, including the interactions of natural and multiple human activities. This work requires an understanding of marine ecological modelling, model uncertainty and modern approaches to the science-management interface. Assist in the application of marine and coastal socioecological models – specifically multispecies/ecosystem models of intermediate complexity (MICE), as well as approaches such as size-based models, Atlantis, Ecopath with Ecosim agent based models and risk assessment-based approaches. Interact with CSIRO researchers and the broader research and resource management communities to identify research priorities and develop new project proposals. Produce high quality scientific and/or engineering papers suitable for publication in quality journals and for presentation at national and international conferences. Direct experience in the development, calibration and delivery of marine ecosystem models. Experience in the initiation of original research work and development of innovative approaches to research problems. CFER continues to expand and students will join a dynamic research and training environment. The student is encouraged to develop their own projects within the broad scope of our funded research program. The student will be part of the Marine Institute’s graduate program in fish stock assessment (https://www.mi.mun.ca/programsandcourses/programs/fisheriessciencestockassessmentmasterofsciencemscdegree/) and will receive state-of-the-art training in modelling marine fish productivity contributing to improved fish stock assessment models. This will include advanced training in estimation of spatial and state-space ecological models. Career opportunities for graduates are excellent. Desirable candidates will have strong scientific credentials in ecology, fishery science, statistics or another relevant field. Preference will be given to applicants 1) with demonstrated expertise in quantitative skills in ecology or stock assessment 2) who can code efficiently in R or other programming languages, and 3) who have a publication record (PhD students). Funding is guaranteed for the entire length of the master (2 years) and PhD program (4 years) and fully covers tuition and living expenses. Dr. Noel Cadigan (Noel.Cadigan@mi.mun.ca), Dr. Jin Gao (Jin.Gao@mi.mun.ca), Dr. Fan Zhang (Fan.Zhang@mi.mun.ca). Please contact Drs. Cadigan, Gao and Zhang directly with any questions about these positions. Review of applicants will begin immediately and continue until suitable candidates are identified. We have the great pleasure of inviting you to take part in the 30 th EURO Conference to be held in Dublin, Ireland on 23-26 June, 2019. The Scientific and Organization Committees, chaired by Luis Gouveia and Seán McGarraghy, along with Cathal MacSwiney Brugha, are preparing a high quality scientific program and an exciting social program for the Conference. We are convinced that the EURO 30 th Conference will be an excellent opportunity for the OR community to get together again in a pleasant atmosphere, and, thus, we are looking forward to meeting you in Dublin, in 2019! Researchers, academics, practitioners, and students interested in any branch of Operational Research, mathematical modelling or economic analysis are invited to submit abstracts or organize sessions. Invited and contributed papers will be organized in parallel sessions. In general, sessions will be a part of the Conference streams, and streams are grouped in different areas. The list of areas and streams will be available shortly. No participant can present more than one paper at the Conference. Abstract submission system is available online, via the Conference web page ( [ https://protect-au.mimecast.com/s/NcVwCROAEnswA0oqiOE6bN?domain=euro-online.org | https://protect-au.mimecast.com/s/NcVwCROAEnswA0oqiOE6bN?domain=euro-online.org ] ). Abstracts: max. 1500 characters; submission deadline: February 8, 2019 . Researchers who wish to organize a stream or an invited session or contribute with a paper within an invited session should contact a PC member of the corresponding area. Student/Retired: €180.00 (early); €240.00 (late), Accompanying persons: €90.00. Early registration ends 8 March 2019. The registration fee for an accompanying person covers the same except the admission to sessions and conference materials. Please note that the Conference Gala Dinner on Tuesday is not included in the registration fee. Parties interested in having a booth or exhibition area during the Conference are kindly requested to contact the EURO 2019 Conference Secretariat (Sponsorship & Exhibition Manager Emma Power: [ mailto:2019EuroK@abbey.ie | 2019EuroK@abbey.ie ] ). An exhibitor’s guide will be available shortly. We look forward to welcoming you to our very exciting conference in Dublin! 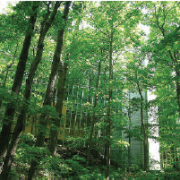 You are kindly invited to participate in the World Conference on Natural Resource Modeling, to be held at HEC Montréal, Canada (http://www.hec.ca/en/) on May 22-24, 2019. We are pleased to inform you that several recruitment opportunities are currently or will soon be promoted within the framework “Initiative of Excellence of the University of Bordeaux” (IdEx University of Bordeaux), granted by the French national program Investing for the future. Visiting Scholars, expected to contribute with their unique expertise to the development of research projects, training programs, innovation in higher education, or technology transfer. We thank you for relaying this information to any person who might be interested in these opportunities. Position available : Spatial Agricultural and Environmental Sciences at the University of Sydney. Academic Level B or C, Base Salary: $104,155 p.a. – $147,115 p.a. plus leave loading and a generous employer’s contribution to superannuation. Visa sponsorship is available if required. Applications are invited for a lecturer (Level B/C) in Spatial Agricultural and Environmental Sciences with expertise in statistical and mechanistic modelling, focused on agricultural and/or environmental terrestrial systems. SOLES has a program of teaching in statistics that covers first year to Honours and Masters level. It is expected that the candidate will strongly support this teaching program, and develop a secondary teaching program related to spatial-temporal analysis of agricultural and/or environmental systems with an emphasis on the use of sensing technologies (remote or proximal) to measure, monitor and manage terrestrial landscapes. The combination of quantitative analyses with the use of remote sensing technologies is an area of research SOLES is looking to strengthen. The successful candidate is expected to develop internal and external partnerships to develop and support an active research program. The successful candidate will further play an active role in the supervision of honours and higher-degree research students. 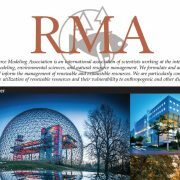 Are you interested in connecting with the RMA community?